When one think of red in Asian culture, the first thing that comes to mind for most is that red is an auspicious color and is associated with festivity and good fortune, but the color red is a lot more complex than it first appears. Red is not always lucky, and in certain contexts can be offensive or even unlucky. Red can also carry a variety of meaning and connotations that goes beyond the simplistic equation that red means lucky. The color red is known as “aka” in Japanese. Traditionally, there were at least 23 shades of red that were each given their own names. Some of these names were extremely poetic and elegant. These names were used in traditional textile production and in literature. Red has been a popular color in Japanese culture since the Heian period (794 to 1185 A.D) when red dye that came from safflower first began to be used. 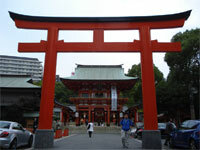 Many Shinto shrine archways (toriis) from the Heian period and since are painted with this particular shade of red. In Japanese culture, red is also associated with the sun and seen as a powerful color that represents emotions rather than ideas. The national flag of Japan is a large red circle against a white background, and is known as “Hinomaru” which translates into “the sun’s circle”. In fact, the name of Japan “Nihon” means the land of the rising sun. Today, the colors red and white when used in combination are seen as lucky, and red and white streamers and decorations are used during auspicious occasions and pairs of red and white rice cakes are offered at weddings as a lucky food item. 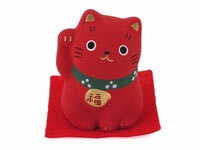 Symbolizing the life force and energy of people, red is an important color in Japanese culture. However, red is not always auspicious. In Japanese culture, it is considered unlucky to write someone’s name in red, since that is the practice to have the name of deceased engraved in red on tombstones. 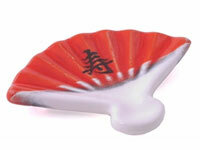 In Chinese culture, red is generally seen as an auspicious color. Often paired with gold, which traditionally has been viewed as an imperial color and is associated with wealth and prosperity, red is used in many special occasions as a form of well wishing and as a way to invite luck and drive away evil spirits. As a result, many lucky items feature the color red. Corresponding with fire and associated with yang energy which relates to heat, the sun and the masculine, the color red is also believe to ward off evil spirits and demons and is a color of vitality and strength. During Chinese New Year when festivities are celebrated with lots of food and goodies, people also like to dress in red for luck, as legend has it that a mythical beast known as “Nian” would come out from the mountains every year to attack and eat livestock and young children. People left food at the door for the beast in hopes that this beast would spare their livestock and young. When it was noticed that “Nian” the beast was repelled by a child dressed in red, people began to dress in red in hopes of scaring away the beast. Today the tradition of wearing red and exchanging red lucky envelopes continues. 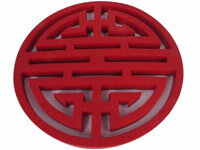 Beyond being associated with good luck, red is also a joyous color in Chinese culture, a color of celebration. In weddings, the bride and groom wear red articles of clothing and red celebratory decorations are placed in and around the home to wish the couple well. The idea of red as a lucky and celebratory color has a long tradition in China. Gift money given in red envelopes is rich in the idea of well wishing and carries the connotation of bringing someone luck beyond just the monetary contents inside the envelope. Because of the cultural associations of red, wearing red to a Chinese funeral is highly insensitive and offensive. In Chinese culture, white is a color of mourning. Mourning is also associated with sackcloth. Because of the cultural significance of these colors, it is good to be aware of the mixing of colors and materials. Like in Japanese culture, writing someone’s name in red is seen as inauspicious. The pairing of red and white is also sometimes seen as unlucky as this particular color combination is associated with tombstones. Today, red is welcomed and highly featured in joyous events such as weddings, birth of a new born child, celebration of a baby’s “full moon” (the baby’s first month) where red envelops and gold jewelries are given as gifts, and family members distribute and eat eggs that are dyed red for good luck and celebration. Red is also used when celebrating longevity at a person’s eightieth birthday. Association to colors extends beyond the sphere of cultural beliefs, historical and political connotations also give meanings to colors. Red, for example is believed to be a color of passion in Korea and has long been associated with the concept of blood in Japan, China, and many other Asian countries. This color is featured on various national flags across Asia and can carry different political and historical connotations. Red can also represent a particular political ideology or political faction. It can also draw historical allusions to past events. 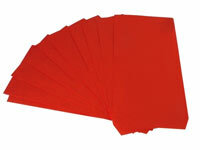 For example, red is a color heavily featured during the Cultural Revolution in China. While the color red is generally associated with positive ideas of good luck and celebration in many Asian cultures, there are also situations when red may be inappropriate or offensive. To truly understand the significance of a certain color within a certain culture or nation, there needs to be a deeper understanding of the feelings and associations people have toward the color. Different shades of red may also have different meanings. In Japan, for example, the particular shade of traditional red used on “torii” gates in shrines has a lighter orange tinge and may be associated with spirituality, while a deeper vibrant shade of red (often paired with gold) is associated with good luck and celebration in China. Red is an especially important color in Asian culture, and there are still strong cultural, political and social beliefs surrounding its meaning.